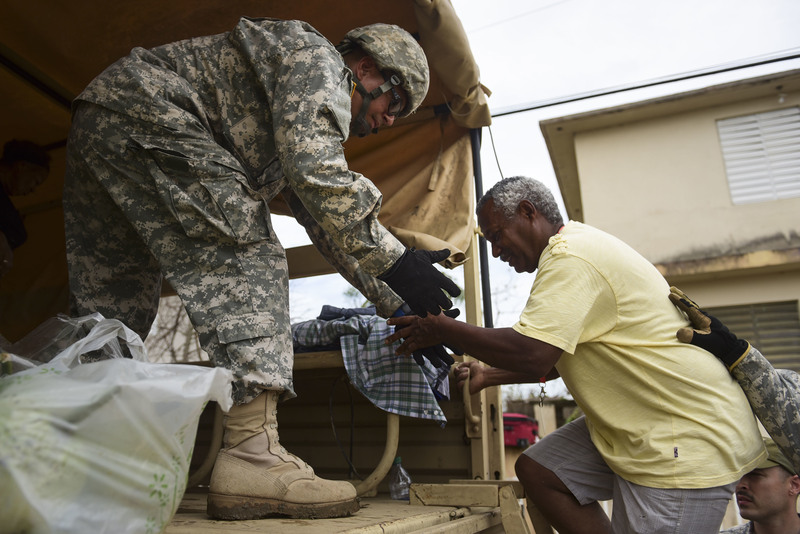 When the people of Puerto Rico were suffering after being slammed by Hurricane Maria in 2017, the U.S. government rushed emergency supplies to the battered island. But not all of that aid reached the people who needed it. A photograph taken by a Puerto Rican police agency worker seems to show that while thousands of people were suffering in remote villages, millions of bottles of water sat cooking in the sun on an airport runway in a region that had been hit particularly hard by the storm. Aunque usted no lo crea… casi un millón de cajas de agua que nunca fueron entregadas al pueblo d P.R., ante la emergencia del huracán María.¿ Habrá alguién que pueda explicar esto? Abdiel Santana of the United Forces Rapid Action police agency said he first saw bottles sitting on an airport runway in Ceiba, Puerto Rico, last October, CBS reported. Santana published pictures of the pallets of water bottles, covered by blue tarps, sitting on a runway, on Facebook. CBS reporter David Begnaud claims he interviewed Santana and in a video posted on Sept. 11, said Santana was “angry, upset, and mad” that the water was still there. Anger is not an unreasonable response. Puerto Rico’s governor, Ricardo Rossello, raised the death toll from Hurricane Maria to 2,975, making the storm the deadliest in U.S. history. Gov. Rossello based the number on an estimate made by the Milken Institute School of Public Health at George Washington University (pdf). Not surprisingly, no one wants to take responsibility for the wasted water, or for the harm it might have averted. According to CBS, Marty Bahamonde, director of disaster operations at the Federal Emergency Management Agency (FEMA) confirms that FEMA delivered water to the island but cannot confirm that the agency left the water in question on the runway. David Begnaud claims that he called FEMA and was told that FEMA had delivered those specific water bottles to Puerto Rico last year. Once delivered, the water bottles were reportedly turned over to the U.S. General Services Administration (GSA) in Puerto Rico. 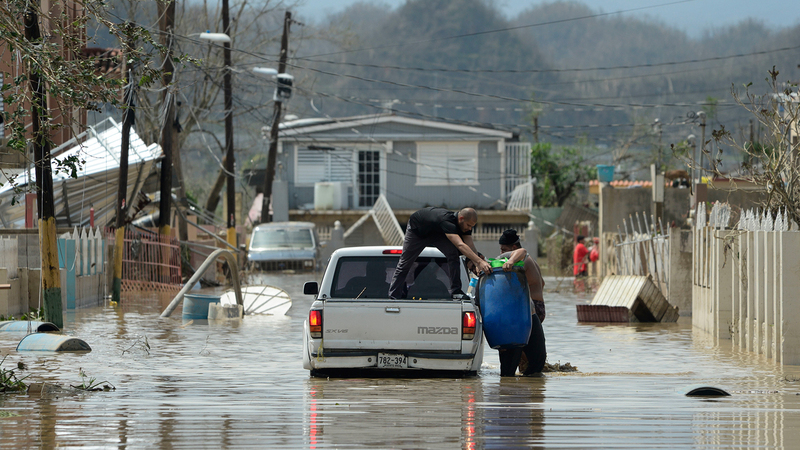 Carlos Mercader, the executive director of the Puerto Rico Federal Affairs Administration, released a statement in which he blamed FEMA for letting the water go to waste. Mercader states that GSA requested the water on April 17 of this year, and received permission to distribute it on April 26. The Puerto Rican government started picking up and distributing the water on May 30, the statement claims, but people who received the water complained that it smelled and tasted foul. In the statement, Mercader claims the Puerto Rican government took possession of 732 pallets of water, out of a total of about 20,000. Based on normal packing methods, there would be about 72 cases per pallet of 24 bottles, or 1,728 bottles per pallet. If the total shipment had indeed been 20,000 cases, that would have been millions of gallons of water wasted.